D&K’s Steve Dumas Receives Commissioning Authority Certification (CxA) - DuBois & King, Inc.
Steve Dumas, PE, LEED-AP, CPMP, DuBois & King’s Mechanical Engineering Department Manager, can now add Certified Commissioning Authority (CxA) behind his name. 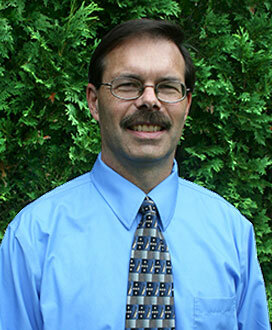 Steve is a mechanical engineer with 35 years of experience in design, project management, and construction administration services for projects ranging from conceptual design studies and facility evaluations, to complex multidisciplinary design packages for multimillion-dollar building projects. He holds a Commissioning Process Management Professional Certification (CPMP) through ASHRAE. The CPMP certification, an ANSI accredited certification program, demonstrates Steve’s capabilities to develop and manage the whole building commissioning process. The CxA certification is ANSI-accredited and recognized by the Department of Energy’s Better Buildings program. The CxA designation recognizes building commissioning professionals who manage and implement commissioning processes in new and existing buildings. This certification builds on Steve’s experience with the overall commissioning process. Steve has been involved in all areas of the project development process: initial client needs definition, basis of design definition, design development, commissioning services, start-up, operational verification, and construction administration. Steve’s commissioning services begin in the Pre-Design phase Owner Project Requirements (OPR) development and extend through the Design, Construction, and Acceptance phases to post occupancy operational verification. The primary focus is on HVAC, controls systems, and energy efficiency, with non-HVAC systems such as emergency power, lighting controls, and fire alarm interface also covered. Steve’s recent commissioning and retro-commissioning projects include the new Field Maintenance Building for the New Hampshire Army National Guard, a LEED building in Hooksett, NH, the new $40M, 90,000-sf NH Correctional Facility for Women in Concord, the new National Guard Readiness Center in Pembroke, NH, and the Littleton Readiness Center in Littleton, NH. Congratulations Steve!